Losing weight is the toughest job for anyone as it requires dedication, time efforts, and commitment. Whether you are working or stay at home, losing weight requires same dedication, hiring a trainer or following a particular diet regime can be frustrating at times it can take a toll on your mental health too. There are many products in the market that can help in weight loss like powders, pills, capsules etc. 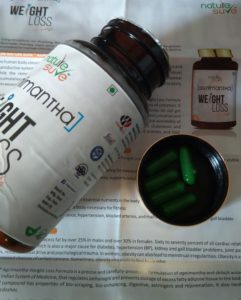 However, I came across Nature Sure Agnimantha Weight Loss pills that have been great for weight loss. With this formula, your weight loss will occur naturally as it has Agnimantha and Shilajit that help in reducing weight to a great extent. Crafted out of pure and natural ingredients, this formula helps in weight reduction by increasing urine frequency and improving the digestion. This formula is based on the Ayurveda which has been scientifically proven. The pills help in balancing Vata and Kaphadoshas in the body and cut excess fat from the body resulting in weight loss. Our human body according to Ayurveda consists of seven dhatus but those who are obese have a tendency to get nourished excessively only by Medadhatu or the fatty tissue, but their other six dhatus remain undernourished. Due to excessive accumulation of Kapha, the fat does not burn in the body, so the body gains excessive weight and struggles to lose it. 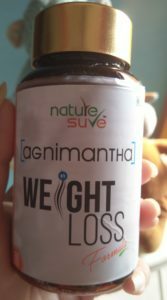 Nature Sure Agnimantha Weight Loss pills help in regulation of jatharagni or the body’s inner heat that aids in digestion. With the use this formula, excess calories do not get stored as fat and the toxins are flushed out through frequent urination. There is an increase in the bio-availability of nutrients due to which energy and vitality increases and there is a decrease in chronic fatigue. This compound neutralizes the Kapha and Vatadoshas leading to weight loss. It has Agnimantha 100mg and Shilajit 400mg that are great Ayurvedic formulas that help in balancing of doshas. 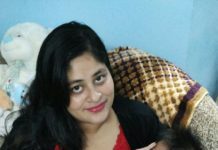 My Take On The Pills– I have been consuming two capsules daily before meals in the morning and in the evening with lukewarm water and I am impressed by it’s completely natural preparation. Both the herbs present in the formula are highly effective in losing weight and have been used by Ayurveda for many years. I feel a lot of urge for trips to the bathroom and all the toxins are getting released from my body. 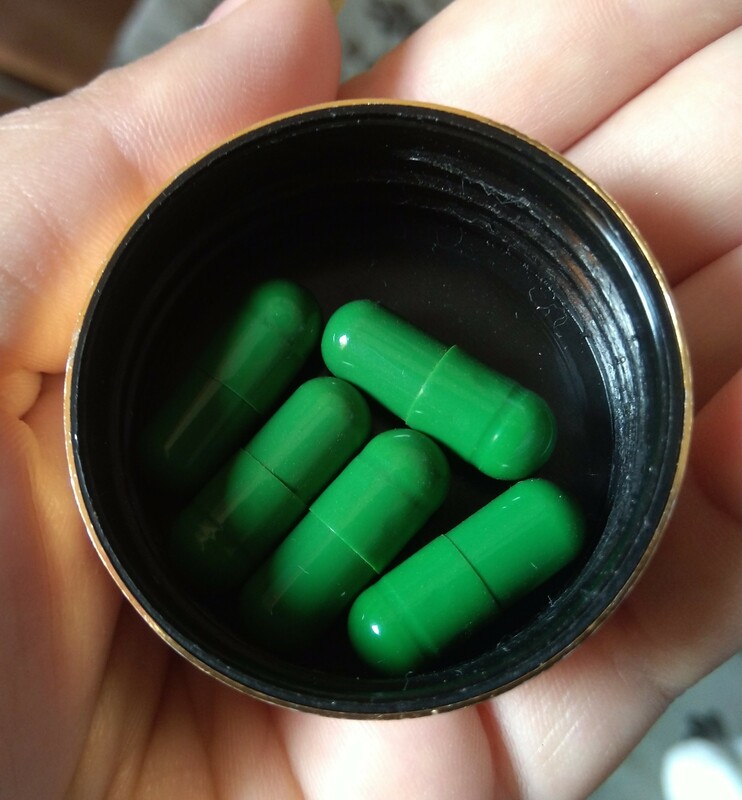 These pills produce heat in the body for faster digestion and help dissolve the existing fat inside the body. In this way, the metabolism gets a boost and weight loss initiates. 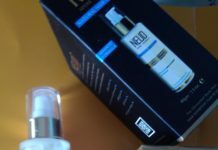 The packaging of the product is travel-friendly as they come in a plastic container and the lid closes firmly. The twist open container keeps the pills safe from moisture in the air so that the pills stay fresh. Unlocks energy and reduces chronic fatigue. Prevents accumulation of excessive fatty tissue by regulating fat metabolism naturally. The weight loss takes time. Nature Sure pills are 100 percent vegetarian and are made from natural extracts, so there are no side effects. With these pills, your body stays energized and fatigue stays at bay. If you want to lose weight but are not able to do so due to constant work, then I would recommend taking these pills, which can help you lose weight naturally. 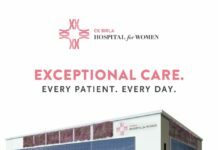 It is not recommended for pregnant and lactating women, children and infants. Disclaimer: The content posted here is for informational purpose only and we do not take any responsibility whatsoever in case of any difference in opinions. Market is full of weight loss treatments and supplements. I am always against using anything unless it’s herbal or organic way. I think the brand has come up with a quality product. Thanks for sharing. It is a much-needed product. I would love to try it. I hope you have seen certain weight loss. I am seriously going to try this out! Well, never heard about this brand before…also, hearing something very new for the first time , like some natural tablets for weight loss..Let me know, if it has some good effects on you? Thats a great product indeed. Have you seen any change in your weight loss? If the product is made of natural products, then surely it is a boon for the ones who are looking for weight loss without much effort. I’m not in the support of products for losing weight and prefer natural ways of gaining and losing both. However I understand it’s a struggle for people to lose weight naturally hence these products r helpful.